You can modify your search criteria and try again. Otherwise you can use our Auto Finder to be notified of new matches by email or call our sales team at (260) 489-0486 for help locating the perfect fit at Preferred Automotive Group! MORE PHOTOS AFTER SERVICE INSPECTION "Local trade. This is one excellent vehicle; 4x4 clean and when I say LOW miles I mean LOW miles ONLY 86k. -- Justin Pearson" We are confident that you will not find a nicer 1999 Blazer. This is a 4.3 V6 with a perfect interior and spotless exterior. This "one of a kind" blazer will be gone soon. Stop by our Illinois Rd location and see it in person. This 1999 Chevrolet Blazer LS is offered to you for sale by Preferred Auto Illinois Road. 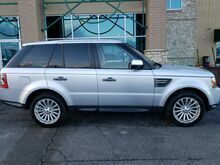 Contact Preferred Auto Illinois Road today for information on dozens of vehicles like this 2010 Land Rover Range Rover Sport HSE. The Land Rover Range Rover Sport HSE offers a fair amount of utility thanks to its advanced features and unique styling. It's also quite sporty, and injects an ample amount of handling chutzpah into the ridin'-high body of a family-friendly SUV. Excellence, luxury and stature are just a few of the pillars this car is built upon. At home in the country and in the city, this 2010 4WD Land Rover Range Rover Sport HSE has been wonderfully refined to handle any occasion. Smooth steering, superior acceleration and a supple ride are just a few of its qualities. The Range Rover Sport has always been the slightly more manageably sized version of the Range Rover, geared more for on-road performance. That doesn't change for 2010, but the Sport has enhanced off-road ability as well. New engines allow faster acceleration, while improved steering and braking mean that the Range Rover Sport will hold its own against other luxury rivals such as the BMW X5. Preferred Auto Illinois Road is excited to offer this 2015 Subaru Outback. The Subaru Outback 2.5i offers a fair amount of utility thanks to its advanced features and unique styling. This 2015 Subaru Outback has great acceleration and wonderful styling without sacrificing exceptional fuel economy. Enjoy safety and stability with this all-wheel drive vehicle and drive with confidence in any condition. The genius of the Outback has always been its ability to straddle classifications; it helped create the crossover segment in the 1990s. As such, the Outback competes with both family cars, SUVs and of course, other crossover vehicles. The Outback should be affordable enough for families considering a new Camry or Accord. With better off-road credentials and a more usable luggage compartment, the Outback offers increased versatility over plain Jane family sedans. At the same time, the Subaru Outback offers the kind of fuel economy that most mid-sized SUVs would struggle to match. Strengths of this model include good ground clearance, spacious interior, fuel efficient transmissions, standard all-wheel drive, and versatility. This outstanding example of a 2017 Dodge Grand Caravan SXT is offered by Preferred Auto Illinois Road. Just what you've been looking for. With quality in mind, this vehicle is the perfect addition to take home. Based on the superb condition of this vehicle, along with the options and color, this Dodge Grand Caravan SXT is sure to sell fast. The quintessential Dodge -- This Dodge Grand Caravan SXT speaks volumes about its owner, about uncompromising individuality, a passion for driving and standards far above the ordinary. Contact Preferred Auto Illinois Road today for information on dozens of vehicles like this 2012 Jeep Liberty Sport. Want more room? Want more style? This Jeep Liberty is the vehicle for you. This 4WD-equipped vehicle will handle beautifully on any terrain and in any weather condition your may find yourself in. The benefits of driving a 4 wheel drive vehicle, such as this Jeep Liberty Sport, include superior acceleration, improved steering, and increased traction and stability. 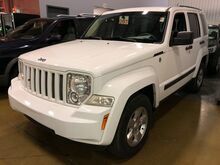 This 2012 Jeep Liberty has such low mileage it has been parked more than driven. The Liberty's size allows it to maintain a tight turning radius for negotiating tight parking spaces and off-road trails. The Liberty may be a compact SUV, but it is capable of light towing, and available in 4-wheel drive as well as 2-wheel drive. Luxury-oriented Jet editions brings surprisingly upscale trim to the small SUV. This 2010 Jeep Wrangler Sport is offered to you for sale by Preferred Auto Illinois Road. This Jeep Wrangler Sport is an incredibly versatile vehicle that is a "must have" for any adventurer. Want to brave the road less traveled? You'll have the 4WD capabilities to do it with this vehicle. The rugged Jeep Wrangler maintains a strong cult following of off-road purists. It's a great choice for those who have an active, outdoor lifestyle that involves frequent off-roading and tough terrain. With its last full redesign in 2007, the Wrangler picked up modern safety features and a more refined driving experience without losing its distinct character. The Unlimited model has a back seat big enough to fit adults. What's more, Jeep claims that the Wrangler is the only true 4x4 convertible, which sets it apart from anything else in its class. This model sets itself apart with rugged style, legendary following, and tough off-road ability. Why spend more money than you have to? This Hyundai Accent will help you keep the extra money you'd normally spend on gas. The look is unmistakably Hyundai, the smooth contours and cutting-edge technology of this Hyundai Accent SE will definitely turn heads. A truly breathtaking example of pure vehicle design achievement...this is the vehicle of your dreams! Based on the superb condition of this vehicle, along with the options and color, this Hyundai Accent SE is sure to sell fast. This 2017 Nissan Versa Sedan has great acceleration and wonderful styling without sacrificing exceptional fuel economy. This is about the time when you're saying it is too good to be true, and let us be the one's to tell you, it is absolutely true. Driven by many, but adored by more, the Nissan Versa Sedan SV is a perfect addition to any home. Just what you've been looking for. With quality in mind, this vehicle is the perfect addition to take home. This 2017 Hyundai Accent has great acceleration and wonderful styling without sacrificing exceptional fuel economy. The Hyundai Accent SE will provide you with everything you have always wanted in a car -- Quality, Reliability, and Character. This vehicle won't last long, take it home today. This is the one. Just what you've been looking for.